The day to day running of a workplace means that things will get messy. Mountains of loose paper, piles of discarded packaging and overflowing bins tend to become a reality faster than we think. While a messy workspace might be considered a sign of healthy activity, the reality is that there are a lot of negative factors that go along with it. 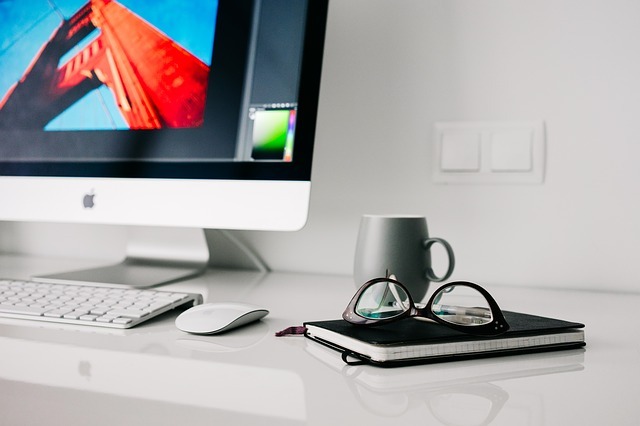 There’s no debate that keeping a workspace clean is a top priority for any establishment. It’s unfortunate then that so many business owners will only acknowledge that a problem has developed when it’s completely out of control. At that point the best solution would be to hire business rubbish removal experts. The following discusses some of the top reasons that it’s so important to keep a clean workplace. For almost every kind of establishment, presentation has a profound effect on the quality of trade that goes on. Humans will always process things visually before they even consider any other facts. This means that when clients are exposed to an untidy business they will automatically begin to make judgements on the quality of work they will receive. A workspace that is messy will imply that it is poorly managed and inefficient, both impressions that nobody wants to leave on a potential customer. On the other hand, a clean workplace will imply a well-managed and efficient business to customers. If an owner is seen as caring for the area in which work is conducted they are more likely to be trusted by the general public. While the cleanliness of a workspace might have no substantial effect on its efficiency, it’s unavoidable that the average person will think otherwise. For this reason the appearance of tidiness is crucial in retaining customers. There are probably very few employees who would want to work in a dirty area. While in some professions generating a mess is simply a fact of the job, it should never be left that way. The morale of employees is very much affected by the cleanliness of their work environment. Not only does an untidy workplace dampen an employee’s mood but can become a hazard for them to navigate around. These factors ultimately mean that the quality and speed of work will take a huge hit. Even if nobody is complaining about the mess it is having a subconscious effect every minute it remains. A boss who wants to retain happy and effective employees will make it their responsibility to keep the place clean. This means educating on and enforcing procedures that makes sure everyone is contributing to a tidy workplace. These procedures should encourage employees to clean as they work and to minimise making any messes. However employees should not be expected to carry out large clean up jobs if it is not part of why they were hired. If the mess is not appropriate for employees to handle then a professional business rubbish removal company should be hired to take care of it. Probably the most important reason to keep a workplace clean, health and safety is always a concern as a mess gets worse. The last thing any owner needs is the liabilities associated with an unclean work environment and the risks it poses to workers or even customers. Piles of trash can and will attract insects and other pests to the area. These environments become a nest for germs and infections that pose a serious risk to anyone nearby. Air quality is also significantly affected when rubbish is left around for too long. This is especially dangerous in indoor areas where there is less ventilation or flow of fresh air. If someone has to spend hours each day breathing in bad quality air then they will develop respiratory issues that can result in serious consequences for themselves and the business. Even if the mess doesn’t contain any food or chemicals that could attract biological threats, it is still an active hazard for employees who have to navigate through or around it. The risk of accidental injury is always increased in the presence of an unnecessary mess that someone could slip on or fall in to. There are clearly many reasons that keeping a clean workplace is vital to the success of an establishment and the health of its employees. Happy and healthy workers operating in a tidy environment will always produce the best possible results. If a mess has become too far out of control then an owner should call on the services of business rubbish removal experts who specialise in clearing out commercial spaces.